Phase 1 of the Sugar Wharf Condos will be located at the quadrant of land behind the office building. 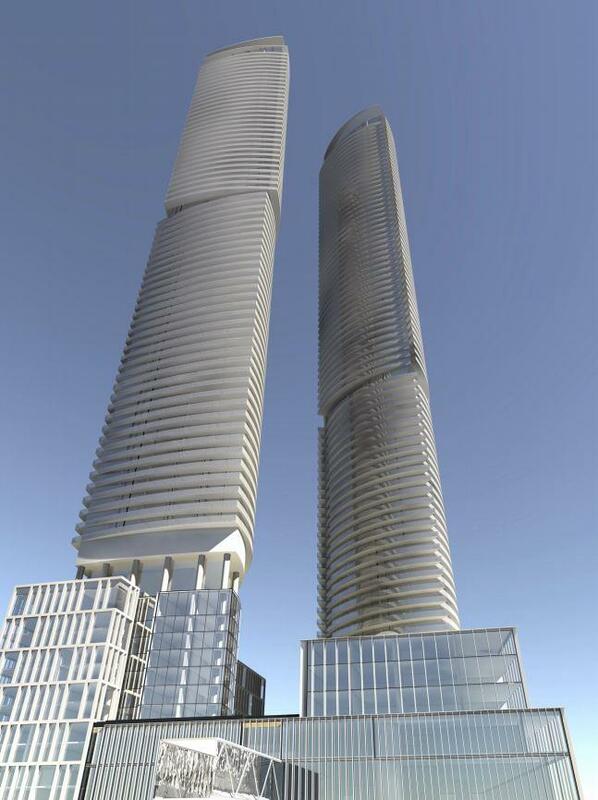 There will be 2 condominium buildings currently proposed to be 64 and 70 storeys. On the quadrant of land behind the public park will rise the phase 2 of the Sugar Wharf Condos, as well as the public elementary school. 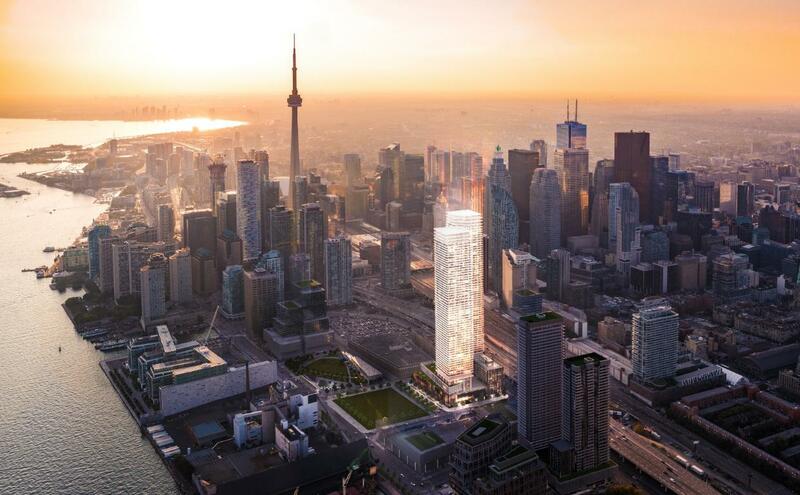 The phase 2 condos will consist of 3 towers currently proposed at 77, 87, and 90 storeys. 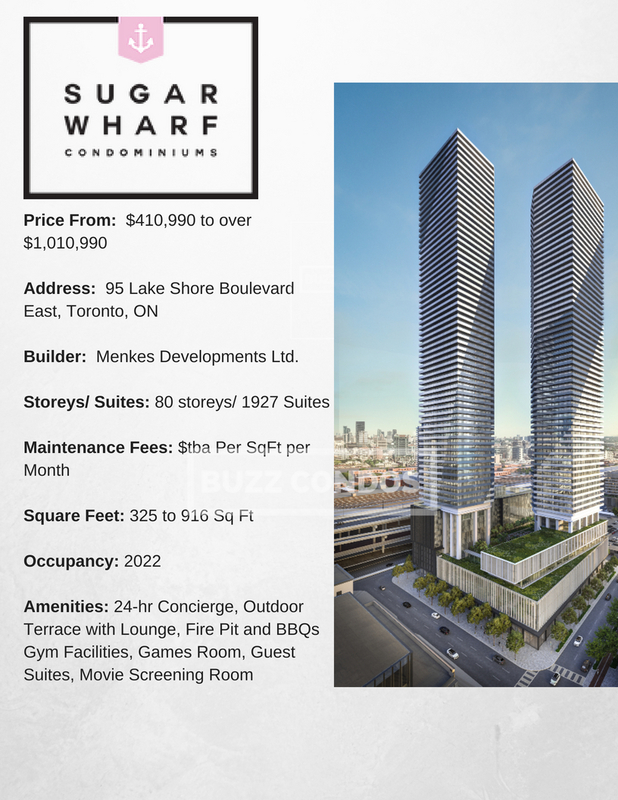 The Sugar Wharf community will be a new mixed-use waterfront community developed by Menkes Developments. 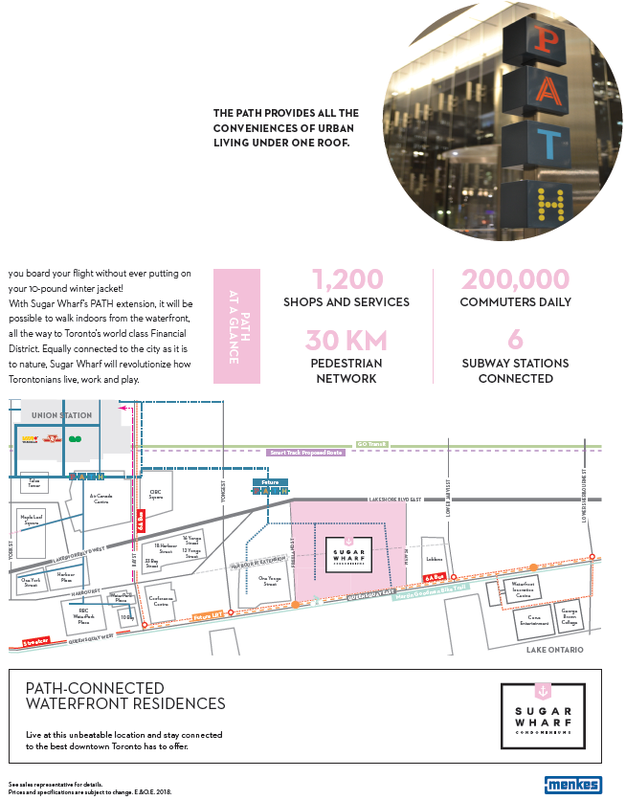 It will be located on an 11.5-acre land at the northeast corner of Queens Quay East and Freeland Street, one block east of Yonge Street. 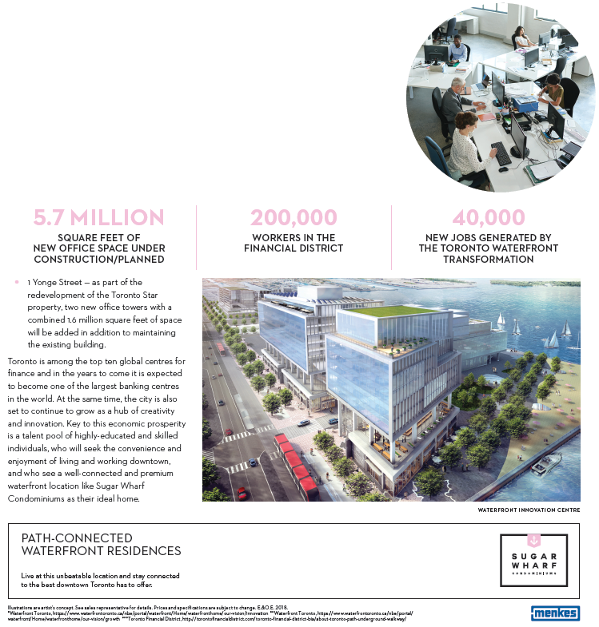 The Sugar Wharf development will consist of an office building, 5 condominium towers, retail space, a new public elementary school and a new 2-acre public park. Currently, the site is occupied by the Liquor Control Board of Ontario (LCBO) with three buildings, a retail store, a four-storey office building and a warehouse facility. that achieves precedent-setting levels of sustainability, affordability, mobility, and economic opportunity, through people-centred and forward-thinking tech solutions. Menkes was founded by Murray Menkes. Visionary. Entrepreneur. Businessman. He wanted his life story to be about building single family homes that delivered outstanding quality and lasting value. Before long he was building not just beautiful homes but entire master-planned communities. Today, Menkes continues to raise the standard for outstanding quality design and superior value as a fully integrated, multidisciplinary real estate development company. Elegant family homes that exude character and charm; exclusive luxury condominiums infused with stunning amenities; and highly coveted office and industrial space, all set in prime locations.